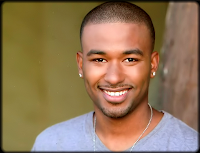 THE BAY The Series Press: STARDISH RADIO: Actor Derrell Whitt from THE BAY The Series! STARDISH RADIO: Actor Derrell Whitt from THE BAY The Series! Derrell is stopping by to talk about the new season of THE BAY. Native New Yorker and now Los Angeles based actor, Derrell Whitt, had been cast as lead and supporting characters in several indie feature motion pictures including Manhattanites, shot entirely in NYC (available on Amazon), The Intruders starring Steven Bauer (Scarface), and most recently Lights Out with Doug Jones (Pan’s Labrynth / Hellboy), all before the age of 21. Tune in for the interview HERE.